Every parent who has a backslidden child needs a word from the Lord every day. The words you will read in this book are words of healing, hope, and deliverance. 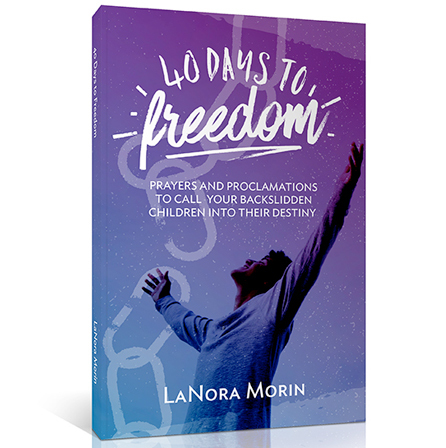 This is not only a daily devotional but also an anointed action plan to help you stand for your children’s freedom. After these 40 days of prayer and proclamations, you will never be the same — and neither will your kids! The author speaks candidly from first-hand experience when her own children were away from the Lord. Not only does she share the trials of those days but also the strategies God gave her that brought them home.